Our man Dan Aka Stopmakingme is on to big things! 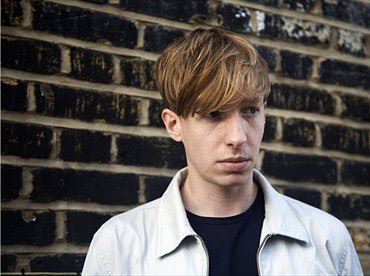 In the lead up to the release of his debut EP 'Wrapped in Plastic' out on nov 22nd, Dan answers a few questions and drops a mix in to Dazed Digital. Read it Here. Ariel Pink's are in town! Secret show at Catch. Here. 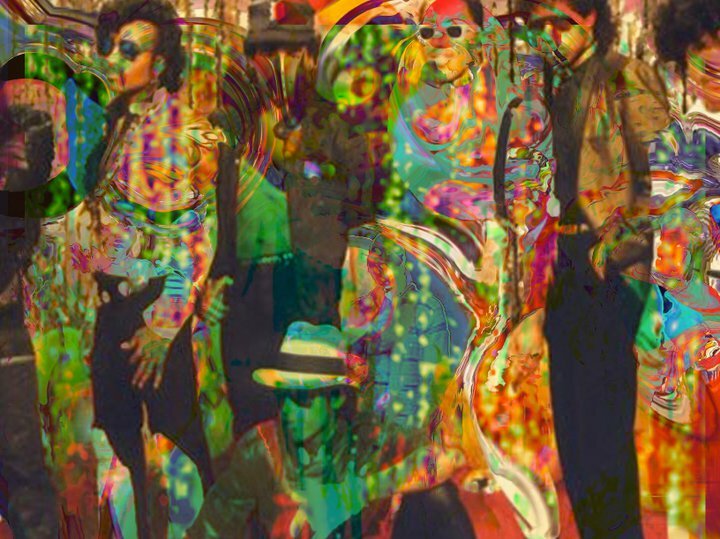 MODEL: 88 is an experiential environment inspired by the mid 70’s – late 80’s Detroit dance TV channel ‘The Scene’. The combination of visual excess and dancing glitz is a collaboration between Berlin based artist Mella Ojeda, and London based artist Lucie Red. You are invited to perform against the stage set, choreograph your own moves, throw yourself into the surroundings or immerse into the glittering background. Legendary Children // Flexmaster Nylon (Catskills Records) // LEATHER SPHINX (Hokaben) will play Detroit Techno and Chicago house throughout the evening. To mark the 25 anniversary of the reputable Chicago based record label Trax the chaps behind DJ history have been asked to curate a compilation of re-edits and with the likes of JD Twitch, Andy Blake, Greg Wilson and Mark Broom at the helm they aint gonna go wrong. 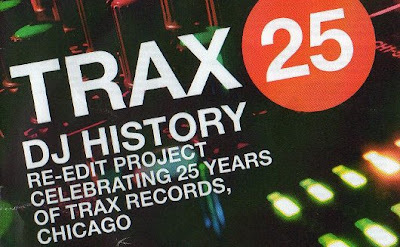 Released on the 17th of Jan the compilation also features edits from recent Big in Japan London guest Leftside Wobble and our November guest Leo Zero. An hour of a recent set from Jay Karim, Big In Japan London Resident. Came across this today - nice huh! Great label too.. infact this one was given to me a while back - never fairs to put me in a good mood. 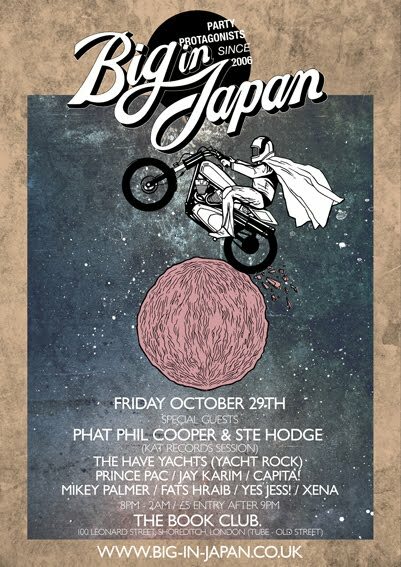 This months Big In Japan party in London sees in a special KAT records session from Phat Phil Cooper & Ste Hodge!! 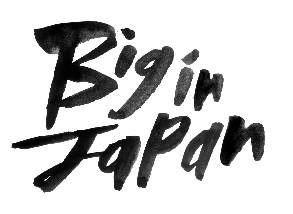 Check out Phil's Exclusive mix for Big In Japan and a taster of what to expect from this months party!! 2. Saint Tropez "Most of All"
3. Asha Puthli "Space Talk"
5. The Black Crowes "I Ain't Hiding"